The 2700W Wheeled Hard Case for RED RAVEN & Accessories from HPRC features a custom foam that fits the RED RAVEN camera along with multiple accessories attached, and fits various other accessories separately. 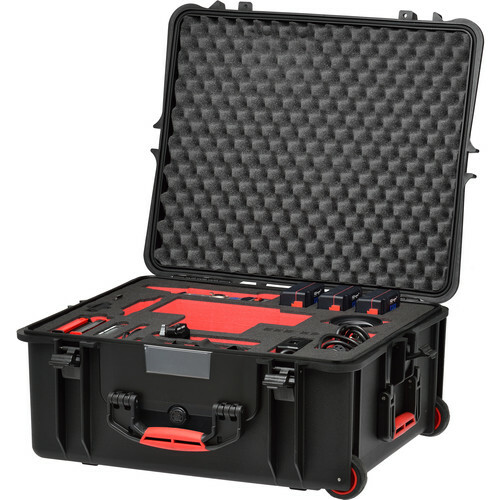 The case has a watertight design and wheels on one side for easier travel. SMC2 RED Touch monitor up to 7"
Box Dimensions (LxWxH) 24.3 x 21.7 x 11.5"